Lucy-Rose began studying the ‘cello at the age of 8, and was awarded a music scholarship to Oakham School at the age of 11. Competition successes include the title of Rutland Young Musician of the Year in 2008 and composing a winning entry in the first Royal Opera House Fanfare Competition in 2009. In 2010 Lucy-Rose was awarded a scholarship to play in the National Schools’ Symphony Orchestra, and has subsequently successfully auditioned to join the English Schools’ Orchestra, CBSO Youth Orchestra, CBSO Youth Orchestra Academy and the Birmingham Festival Orchestra. 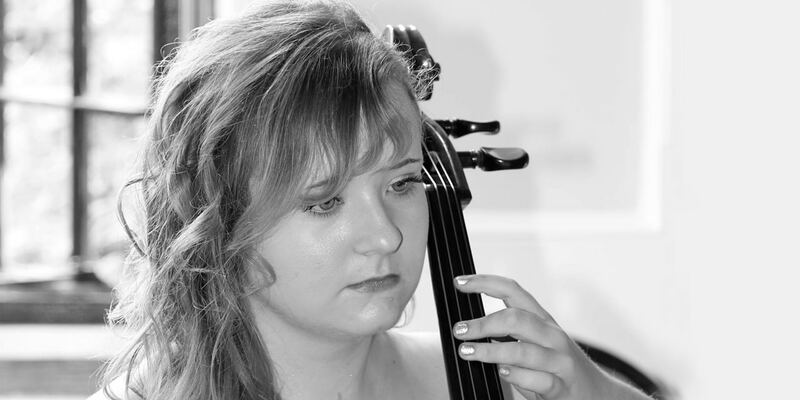 Lucy-Rose has studied with leading ‘cellist Richard Jenkinson and continues studying with renowned ‘cellist Eduardo Vassallo at the Royal Northern College of Music. In addition to giving solo recitals and performing with chamber groups, she has performed Vivaldi Double Cello Concerto at Burghley House, the Saint-Saëns Cello Concerto No. 1, Piazzolla Le Grand Tango and Bruch Kol Nidre – performed in King’s College Chapel Cambridge. The deep mellow sound of this Kennedy cello struck me as soon as I played it. It seemed to resonate through the room and left me astounded at its sound which seemed to wash over me. No matter how many other cellos I tried whilst searching for my perfect instrument, as soon as I played this Kennedy there were no others that I thought could compare to it. It responds quickly to my touch and for me it is the perfect size. I am so grateful to The Stradivari Trust for helping me fulfil my visions of becoming the professional cellist that I dream of being.